Aeration should be done in the fall when the grass is going dormant because when aerating your lawn you are pulling plugs and cutting grass roots at the same time. Doing it in the fall will not harm the new growing root system in your lawn as it is going dormant. Core Aeration is one of the most important things you can do for your lawn. It helps relieve compaction of the soil, develop a deeper root system, reduce thatch build up, and allow more air, water, and nutrients to penetrate the root system. Remember, the soil plugs left on your lawn should be mulched, not bagged for the best results. 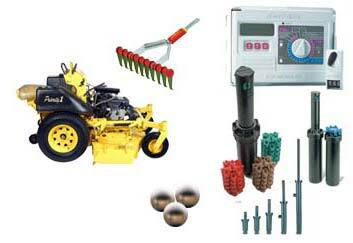 Fall is the best time to aerate your lawn.